Welcome to England’s beautiful Lake District, where a reluctant reunion forges a new bond between a daughter and her wayward mother…. Abby Rhodes is just starting to get her life on track. After her fiancé’s unexpected death, she returned with her young son to the small village where she grew up and threw herself into helping her ailing grandmother run the town’s beach café. Then one evening, her mother, Laura, shows up in Hartley-by-the-Sea and announces her plan to stay. After twenty years away, she now wants to focus on the future—and has no intention, it seems, of revisiting the painful past. Laura Rhodes has made a lot of mistakes, and many of them concern her daughter. 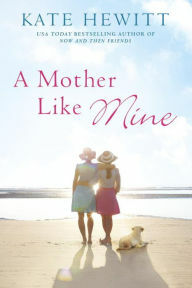 But as Abby gets little glimpses into her mother’s life, she begins to realize there are depths to Laura she never knew. Slowly, Abby and Laura start making tentative steps toward each other, only to have life become even more complicated when an unexpected tragedy arises. Together, the two women will discover truths both sad and surprising that draw them closer to a new understanding of what it means to truly forgive someone you love. Kate Hewitt is the USA Today bestselling author of more than fifty books, including the Hartley-by-the-Sea novels Rainy Day Sisters and Now and Then Friends, and more recently, the Willoughby Close series. A former New Yorker, she now lives in Wales with her husband five children. She also writes as Katharine Swartz. My first introduction to Kate Hewitt’s work was when a copy of Rainy Day Sisters showed up in my mailbox, unsolicited. I emailed the publisher’s rep and she said, “Well, do you mind reviewing it if you have time?” In a nutshell, I loved that book, and I feel in love with Hewitt’s writing. In this novel, A Mother Like Mine, Hewitt has again set a story in Hartley-by-the-Sea, and is again examining the various permutations of family, and especially the ever-changing dynamics between mother and daughter, which, I know from lifelong experience as the latter, is never an uncomplicated relationship. In both Abby and Laura, Hewitt has given us characters who are flawed and deep and supremely real. Abby is a single mother with a young son, and we see her in that role first, establishing her as an independent adult. It’s only after we see her competence and self-reliance that Laura arrives, and suddenly we meet Abby, the daughter, while Laura has the mother-role, to a point. Their ongoing interactions, both with each other, and with the cast of characters that populates this lovely coastal village (am I the only one who’d love to live there?) are sometimes stressful, sometimes funny, often poignant, and always incredibly realistic. At times I was reminded by conversations with my own mother, who has been a constant part of my life, though often chose to put her happiness before mine, and, I believe, wisely so. I was just having a chat with a friend who said she didn’t think her writing was ever interesting enough. I get that that. I sometimes worry about the same thing. 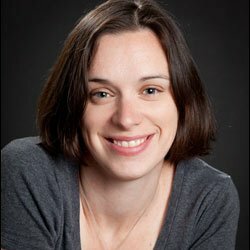 Then I look at novelists like Kate Hewitt who make universal themes into compelling, satisfying stories, and I think we’re all worrying too much. 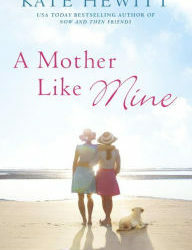 In any case, I recommend this novel, A Mother Like Mine to all mothers and all daughters, and all women who are both. Goes well with tea and scones… mainly because it’s raining as I write this review, and I’m craving both.